It has been far too long that I have shared how I am using my planners, and what exactly I am doing as far as planning goes. Sure I gave you a sneak peak in a video at the end of the year, but let's dig in and take a peek as to what I am currently planning. 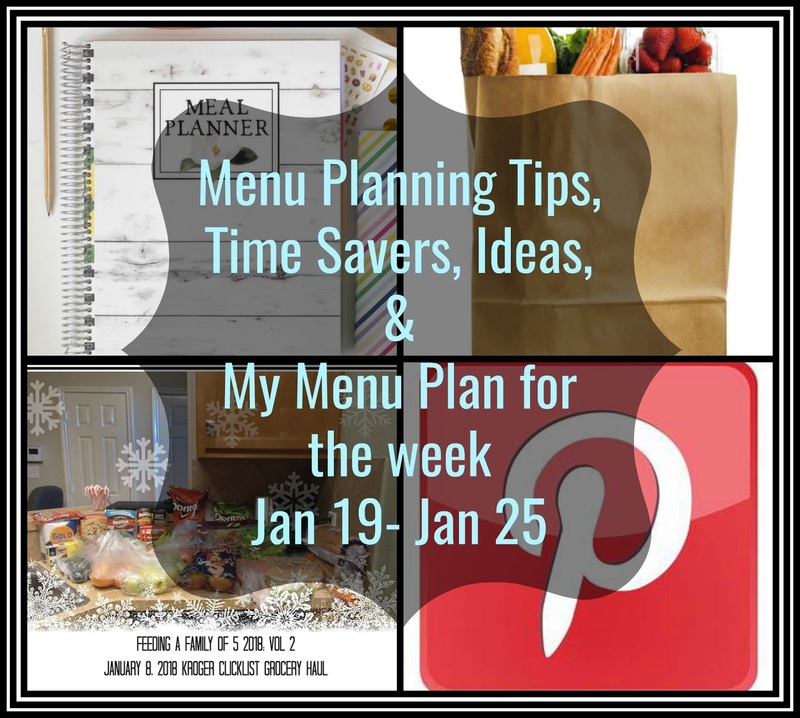 Today I am going to talk strictly meal planning, grocery buying, and the like. 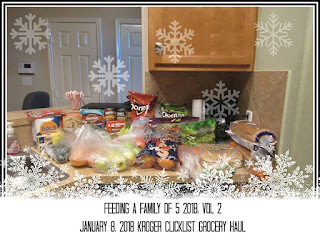 I have been doing grocery haul's and such on Monday because it seemed so fresh to start on Monday with a full fridge. 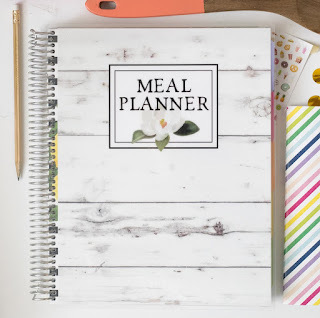 The only thing it is, it is hard for me to plan dinners and such for the weekend because let's be honest ~ I have no clue what our weekend's consist of let alone how I need to meal prep around them. So this week I decided to do something different. This week I did go to the store on Monday ~ but only planned very few meals. And as I am writing this on Friday, I decided that I would go to the store for the week ahead today and include the weekend so that maybe, just maybe I can start my week off without flying through the house like a crazy lady putting groceries away on a Monday while still trying to get dinner on the table.! Anyway this is what I have planned from Friday (yesterday as you are reading this) through about Thursday. 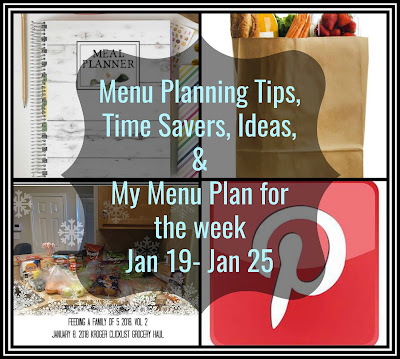 I like to plan in my Carrie Elle Menu Planner. Since I grocery shop online, I often do not use the grocery lists but will pull them off and put them on the fridge so that I can have a running list for any items that I might need to get at the store during the week that was forgotten or I simply ran out of . 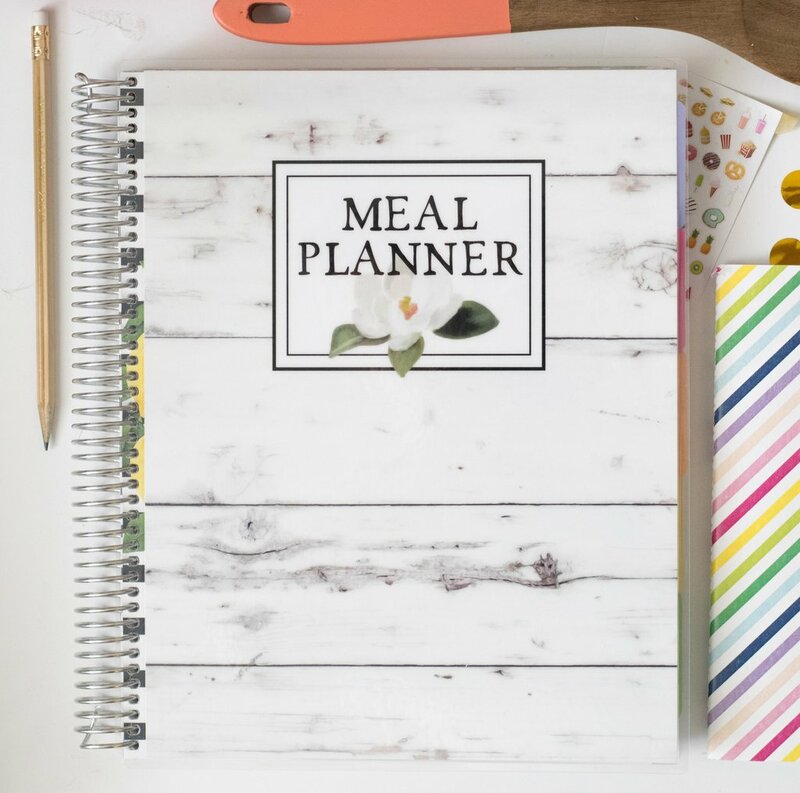 I went years meal planning without a special planner, but I like the idea of storing them from year to year to use as reference, for meal ideas later down the road. Looking back helps me decided on those weeks when I just have no idea what I want to cook. 1. I always check the weather. Call me crazy, but sometimes the weather will dominate what I cook. I mean if it is going to be 80% chance of rain you can bet that I will not plan to cook something on the grill that night. Other times like this past week, if I know that it was going to be unseasonably colder than usually, a good soup, hearty roast or pot of chili will probably hit the spot. 2. I check our schedule. If there are nights that I am just not going to really pull off dinner well I make one of three choices. A) Slow Cooker Meal, B) Ramen and Grilled cheese (hey, we like basic things from time to time) or C) Opt for a take out night. I can assure you ~ I will not plan for a take out night more than once a week, but I really prefer to shoot for once every two weeks. This week happens to be a week that I have already chosen to have ONE take out night but that might change between now and then. During football season, we often have a couple of slow cooker meals. I am not as involved during Track season because most of the meets are a long drive for a minute sprint. 4. I play on Pinterest. Sometimes I go through my boards to be reminded of things I have pinned but maybe never prepared, or see something that someone else has pinned recently that catches my eye. 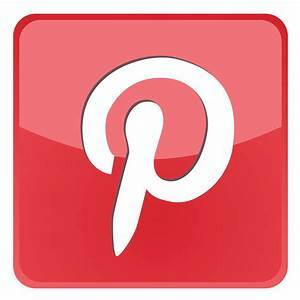 Either way, Pinterest is one of my Go To places whether I am in a funk or just need a refresh. To be honest, I hit it every week and I love it! Any plan is better than no plan. Even if it is half done it is still closer to having no clue from day to day or rummaging through stores searching for ideas. This is honestly the best time to share why I have chosen to go mostly to online ordering of my groceries with a pick up service. In fact, to be honest, when it becomes available I will most likely choose the option of delivery as well. Maybe because I work, maybe it is just because shopping for food is not the way I want to spend my free time, online ordering has given me a bit of time back in my life! I am 99% happy overall of the selections that are given to me even on produce and let's just be fair ~ I'd rather someone else do this chore then me anyway. I went into the store last weekend because I wanted to purchase a few items to make a special dinner for my husband's birthday. That trip cost me 135 dollars and it was just stuff for two meals. TWO MEALS! As you can probably guess, that was a whole lotta impulse buys mixed in. Sometimes it's okay ... but other times it kills my budget! I like to cook really good meals, and honestly, cooking at home is way cheaper than eating out ~ so the money is well spent. However, when you decide to buy cookies just because well.... that's not so good! And especially when homemade ones taste better anyway, especially since I have a bit of extra time since I am not perusing up and down the isles every dang week! So, let's talk about how to start THAT if your in the least bit interested since most stores now offer this service in a large part of the US. Pick a store. I purchase between Kroger, HEB, and Walmart because honestly that is who I can utilize easily in my area. All three are near me (within fifteen minutes) or at least near my office and readily available. I have shopped at them before they even offered the service so I am familiar with many of the items that I buy anyway. Like you ~ I buy a lot of the same things, just cook them differently from time to time depending on any new recipe I or even my husband has found. He does like trying new things, so that is good for me! If you go online to the website of the store of your choosing you can set up an account quite quickly. In fact, you probably already have at least one with an account ready to go. Kroger (click list) will give you a discount (their service fee for this service is 4.95 but for me it is well worth it), the first couple of times you use their service. HEB (curbside) will too. Walmart (grocery pick up), however has NO CHARGE for their grocery pick up service.